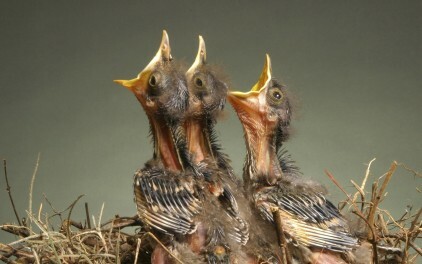 My Students Are Not Baby Birds. I Will Not Act Like A Baby Bird Mamma. I was inspired to try something new. My students, for too long had been acting like baby birds- wanting me to feed them information, to feed them learning, and, more importantly, to do no work for their meal. 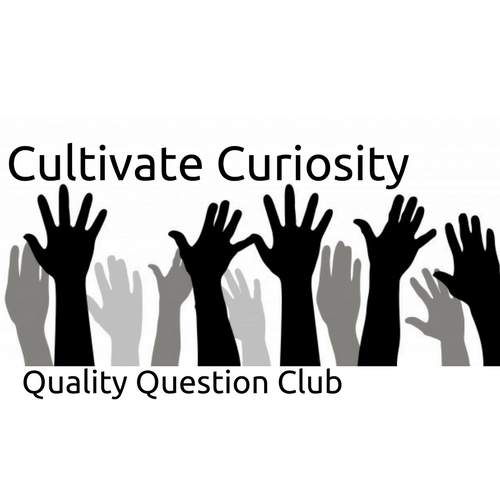 The struggle to find something meaningful to inspire more student participation lead to the creation of the Quality Question Club. I want to inspire real learning, while still meeting the Common Core, State Content, and 21st Century Skills Standards. As we all know, this is a big challenge. By awakening the students' desire to ask more questions and by making my classroom an environment that encourages and supports these questions, I found that real learning could take place. Ultimately, though, by creating a why-how-ladder, I found a more important reason for encouraging more questions. 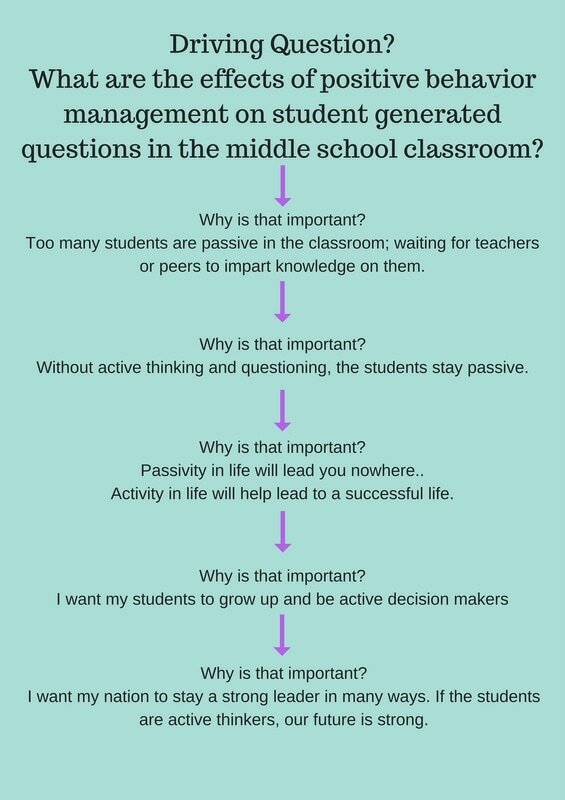 I want to help my students to grow up to be active questioners and decision makers so that they can be more successful in life. Research has shown that student questioning is both helpful and a “meaningful learning tool” to enhance the learning process (Ng-Cheong & Chin, 2009). Unrau and Schlackman have shown that there is also a significant decline in motivation in the middle school classroom (2010). This decline may influence the number of questions that students ask in class. According to Warren Berger, the number of questions that children ask steadily declines as children go through school (2014). ​In the 7th grade classroom used for my study, more and more of the students seemed to be disengaged from the learning process and have stopped asking questions. Although, their test scores from CAASPP are comparatively high, there was a large gap between the scores of the English only students and our ELL and RFEP students. This was reflected in engagement through in-class questions. Students who generally asked more clarifying or greater-depth questions did better than students who do not. Further, this gap in student achievement can be seen in national scores as well. This research included effective questioning strategies as well an application of a positive reward to students who ask quality questions. The problem is that too many students, who may or may not do well in inquiry based lessons, neglect to ask questions during more typical classroom lessons. This shows either a lack of engagement, or a culture in the classroom and school that does not support students who ask questions. Students who ask questions in the classroom are more actively engaged seeking clarification and depth of knowledge. 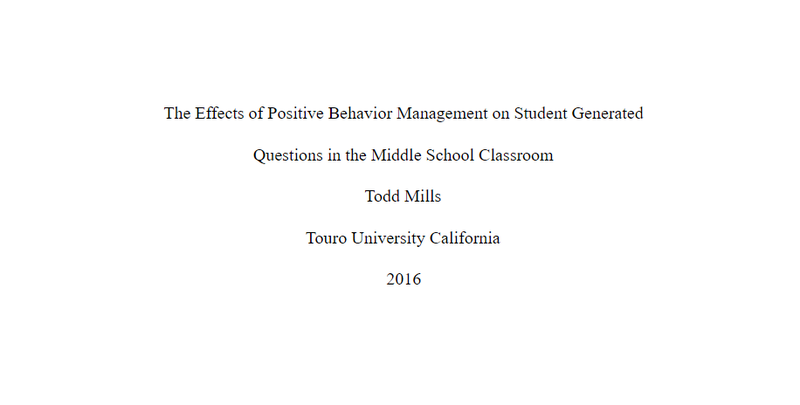 This study assessed the effect of positive behavior intervention on the quantity of quality questions that students asked in a typical week. This research used the concept of joining a club and receiving benefits to measure the effect of this treatment on the quantity of quality questions that students ask. The study found that a no to low cost positive reward for asking quality questions had a significant positive effect on the number and quality of student generated questions in the short term.